New Home at 1416 Mason Lane, Edmond OK - 3 beds. 2.50 baths. 2560 sq.ft. Ready early summer 2019! Get under contract now and select remaining finishes! Modern farmhouse design in Edmond's premier farmhouse community, Hidden Creek. This plan is completely open with cathedral ceiling in living room with wood beams, bright windows, and fireplace. The kitchen looks over the living and features a large island with breakfast bar, a butler's pantry with extra counters and cabinetry. The master retreat features cathedral ceiling, double vanities, large shower, and walk in closet. 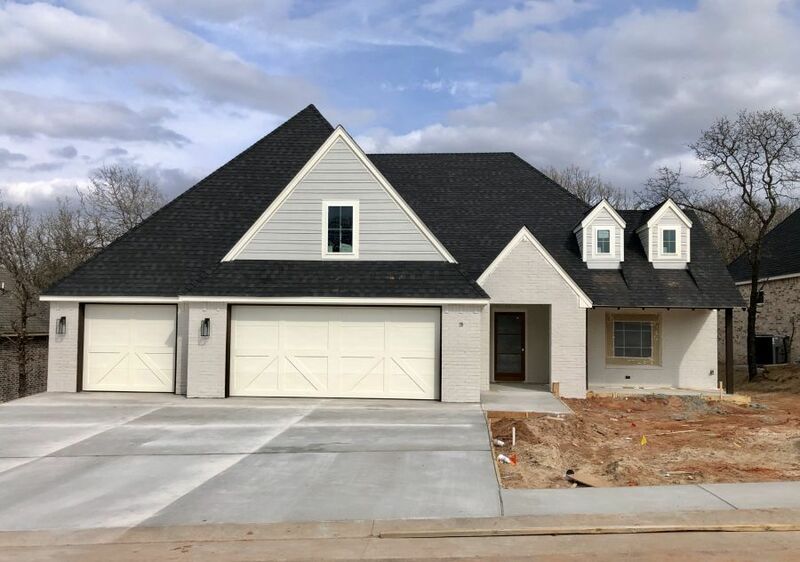 Home also features a study, oversized powder room, sink in the laundry, mud room with built-ins, and second fireplace under the large covered back patio! Perfect location-Hidden Creek is located just a mile east of I-35 off Danforth. Public utilities and Edmond schools!